As if it was not enough to concede four goals in the game against Liverpool Arsenal’s goalkeeper Petr Cech has been involved in a car accident. The former Chelsea player crashed his car into a pillar at the Emirates Stadium as he was returning home. 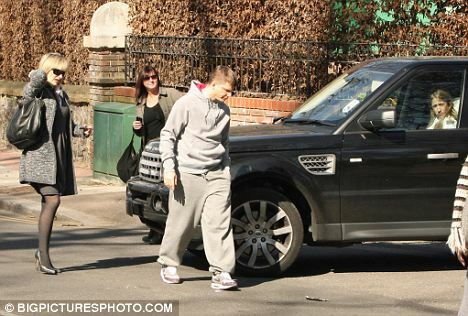 However, it is reported that there is no injury as the player has walked out of the car and back to the stadium. Petr Cech had a difficult Sunday after his side conceded three goals in the second half. Arsenal started the game well and opened the scoring through Theo Walcott in the first half. The England forward was also the culprit of missing a penalty that was well saved by Simon Mignolet. However, Liverpool will equalize at the end of the first half on a great free-kick. The goal came against the run of play as Arsenal were the dominant side in the first half. Petr Cech was a spectator for the majority of the game and only conceded a goal on a free-kick. However, things changed in the second half, and Petr Cech conceded three goals in quick succession as the Gunners failed to deal with Liverpool pressure. The goalkeeper said that it was a disappointing game for them. He said that Arsenal started the game well and controlled possession well. However, it is the equalizing goal that changed the game. He said the players were disappointed to have conceded a goal on the free-kick and that they surrendered the game to the opposition. He said that Liverpool started the second-half the better and was more aggressive on the ball. Petr Cech said that Arsenal made the mistake of opening the game in order to search for an equalizer. This allowed Liverpool the chance to counter attack and to score goals.